Jeff Kay « Hercules and the umpire. I have written about Jeffrey H. Kay before. With 42 years of government service as an FBI agent but mostly as a federal prosecutor, Jeff is a great source of knowledge. Jeff recently wrote me about a chance encounter with Justice Rehnquist. It the quintessential vignette that, while brief and even innocuous at first glance, gives us a broader perspective. Judge- your story reminded me of a situation going back to the late 80’s. It was in August and a hot summer day in Florida, a fellow lawyer Jon May ( appellate lawyer-former AUSA) and I flew over to Tampa for a Florida Bar Committee meeting on a Saturday at the airport Marriott Hotel. following the meeting we went back over to the airport and since John was a member of the Eastern Airlines Frequent Flyer program we went into the First Class Lounge for a cold drink and sat down to wait for our TPA-FLL flight. There was not a sole in the lounge when we sat down. About 10 minutes later the doors open and in walks Justice Rehnquist with a law clerk and security people. John gave me a shot in the side and pointed across the lounge to the Justice. I was cool, big deal, John being the appeals lawyer was all excited. The Justice sat on the other side of the room. Shortly after I got up to walk over to the bar to get a refill on my coffee or soda as I approached the bar, so was the Justice, for reasons that I still cannot explain , I told him to order first and came out with, ” Justice good to see you, we are two lawyers from Fort Lauderdale”. 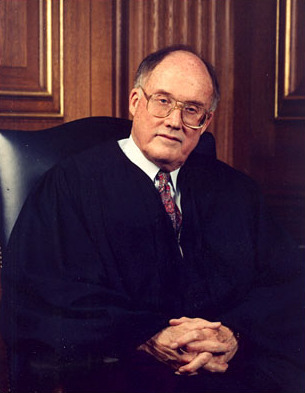 Rehnquist looked at me and said, “Great, why don’t you come on over and sit with us”. I went back and grabbed John and we sat with Rehnquist for close to an hour talking law and the court. I still do not think John has washed his hand from shaking the Justice’s hand! He was very open and pleasant to us and we had a great talk with him. I saw a side of the person that one would never have known. One of the things he did mention to us was that he felt that young lawyers should be able to argue to the court rather than the partners who have no clue what the case is about! The more the Justices get out and have encounters with the great unwashed, the greater respect we mere mortals will have for the Court. Even chance encounters can count for much. I am blessed to serve in a federal court with federal prosecutors who are by and large both smart and honest. Sure, there are some dolts, but at least they are honest idiots. From a retired former federal prosecutor with tons of experience as an FBI agent, as an AUSA, and as a supervisor, an e-mail landed in my account two days ago. My correspondent urged me to read the following article and view the video of arguments in the Ninth Circuit presided over by Judge Kozinski. See Sidney Powell, Breaking: Ninth Circuit Panel Suggests Perjury Prosecution For Lying Prosecutors, New York Observer (January 20, 2015). It is may be shocking proof that some state prosecutors are liars and some state prosecutors knowingly present liars as witnesses. To them, winning is everything. See the update below. I have NOT read the entire record. 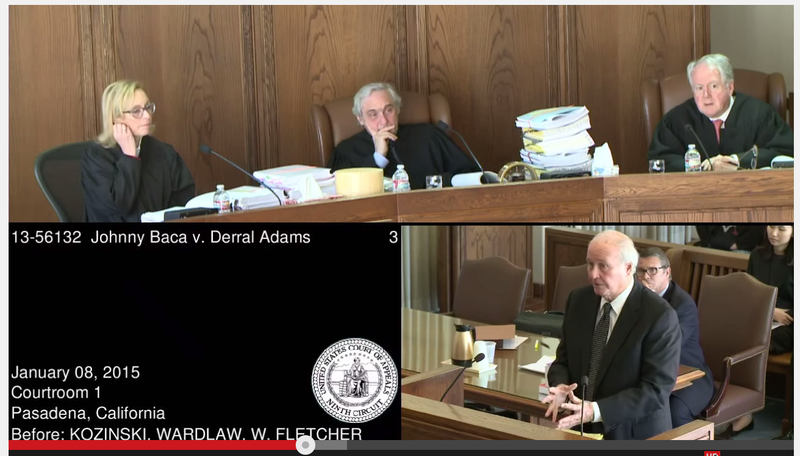 Judge Kozinski and the Ninth Circuit are bound and determined to punish such behavior. Please read the article and view the video cited above. Starting off it will sicken you, but in the end it will make you proud even though you should worry about the tip of the iceberg. I just read the documents that were filed with the federal court in connection with this habeas case. They are quite extensive. They are all available on PACER. You may want to read them for yourself. After doing so, you may want to edit the title of your post. Apparently, what you classify as a “prosecutor lying under oath,” involved a prosecutor who was called as a witness to explain to the jury why a witness/informant’s sentence was reduced by three years. That prosecutor testified that the sentence reduction was the result of a sentencing mis/re-calculation, and not a quid-pro-quo in exchange for the witness/informant’s testimony against the defendant. That prosecutor also testified to the same effect in connection with the federal habeas proceedings, essentially sticking to his recollection as testified to at the defendant’s trial. There is a transcript of the witness/informant’s sentencing proceeding that, on its face, appears to condradict the witness/prosecutor’s recollection of events (that took place many years before he testified at the defendant’s trial. But that prosecutor testified (in connection with the federal habeas proceedings) that there off-the-record discussions regarding whether or not the witness/informant’s sentence should be reduced which apparently bolster the witness/prosecutor’s recollection of events. Bottom line: In this case (which apparently was tried twice over a period of seven years), it doesn’t seem fair to tar the prosecutor as a perjurer (as you do by your post) untill you have read the entire, voluminous record that exists and is available for public inspection. The same goes for the Ninth Circuit panel. Judge Kozinski has stated that there is an “epidemic” of Brady violations being committed by prosecutors throughout America. It seems like he is on a crusade in this area, albeit a good crusade if his statement is accurate. But, based upon my quick reading of the record in this case, it seems as though he (and his collagues on the panel) jumped the gun (probably based upon their law clerk’s memos) without carefully and fully reading the entire record in this complex case. With respect to the trial prosecutor, apparently he had no knowledge that any witness at the trial provided testimony that was in any way false or misleading. He testified to this effect at the federal habeas evidentiary hearing. And the magistrate judge presiding over that hearing expressly found that the trial prosecutor did not know that any witnesses testimony was false/misleading. You may want to read the record. It may cause you to remove the “that the prosecutor knows to be untrue” language from your post. The internet is a powerful tool that has served many great purposes. But, if used improperly, without cross-checking the accuracy of what is being posted (which, I concede, can be a time-consuming task that detracts from the allure of instantaneous reporting of events that blogs like yours permit) it is nothing more than a gossip-mill which, in some cases, can unfairly destroy the reputation of innocent persons.